Maximize ammonia destruction and increase throughput in your reaction furnace with Blasch’s VectorWall™ mixing checkerwall. The VectorWall™ employs Blasch’s patented process resulting in a stable, reliable foundation for use even in oxygen enriched environments. 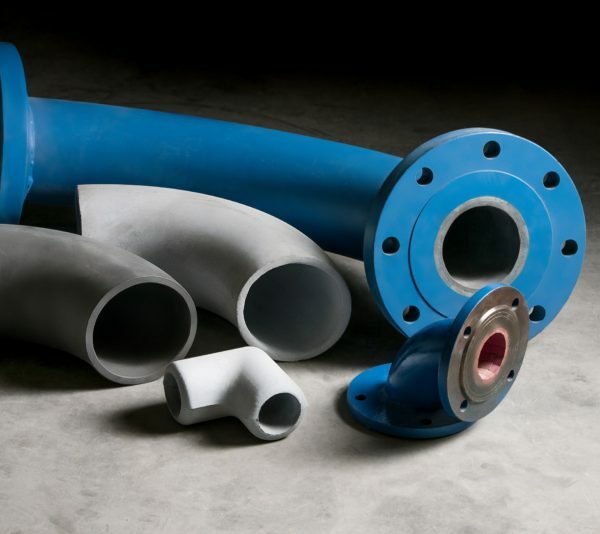 Reduce pressure drop, flow restriction, and downtime with Blasch’s Ceramic Lined Elbows. As part of the CeraLine family, these lined elbows are designed to not only reduce pressure drop and flow restriction, but also assist users in achieving financial performance by reducing overall downtime and repairs. 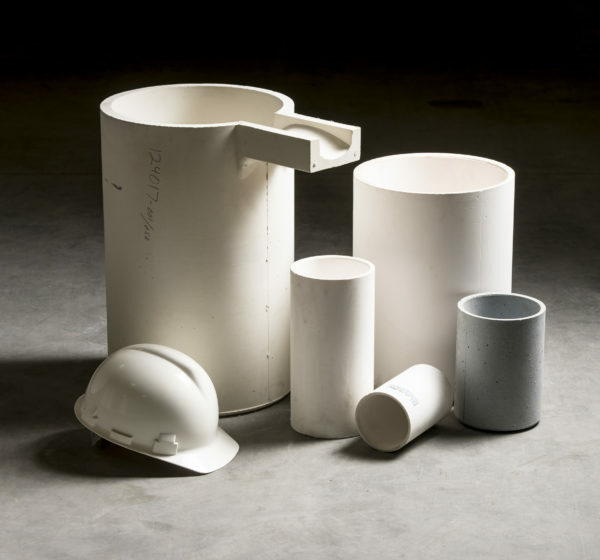 To learn how you can extend the lifespan of your equipment, check out Market Manager Tim Connors’ paper, “All-Round Ceramic Protection”. One of the biggest costs incurred in the operation of a plant is the maintenance and repair of the dust collection system. Due to the attack of particles at low acute angles of impingement, a mechanical dust collector faces abrasive wear. 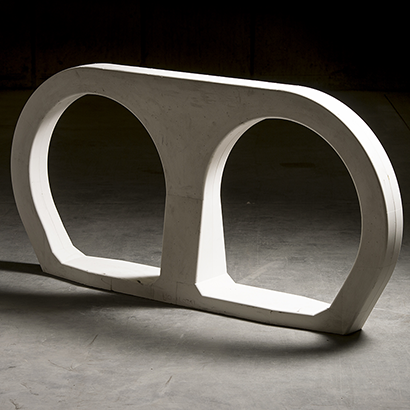 However, engineering and shape-making capabilities unique to the Blasch process allow for precast mechanical dust collector components with superior abrasive resistance. 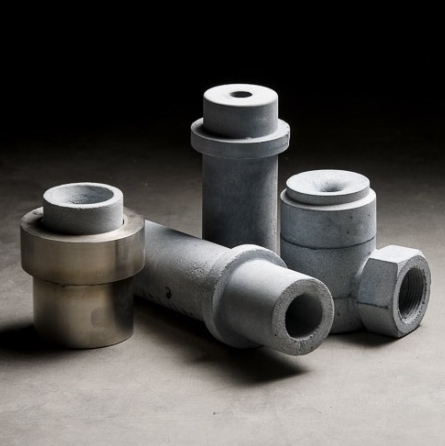 Blasch’s ceramic Air Grid Nozzles exhibit exceptional wear and corrosion resistance, resulting in less downtime and ultimately decreased catalytic loss. The wear and corrosion resistant properties of ALTRON™ make our FCC Air Distributor Nozzles a perfect solution for the severe environment within Fluid Catalytic Cracking Units. Lower scrap and rework costs by reducing downstream quality issues with Blasch High Performance ProCaster Crucibles. 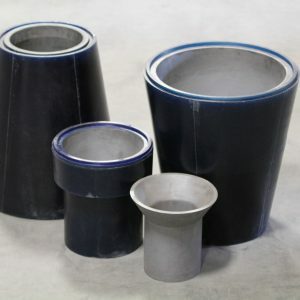 This products is available in a variety of compositions, including Alumina, Alumina Bonded Silicon Carbide, Nitride Bonded Silicon Carbide, and Oxide Bonded Silicon Carbide. 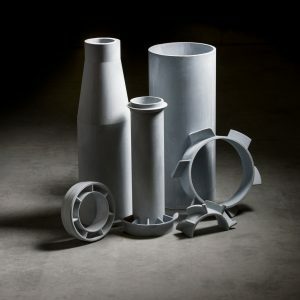 With our ceramic crucibles, you can expect optimized metal purity, maximized campaign life, and elimination of non-metallic casting inclusions. Blasch has offered fully fired, erosion resistant and non-wetting CeraLoop Channel Furnace Linings for non-ferrous applications for decades. The Blasch lining provides a smooth, erosion resistant and non-wetting layer of protection between the molten metal and the backup material. Less down-time and reduced installation time together save you money and provide consistency in your melting operation. 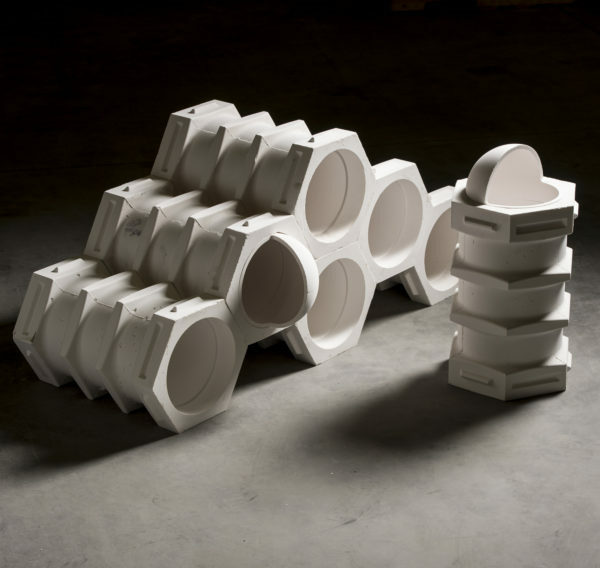 These systems are individually engineered and offer each user the utmost in control of melt chemistry, the lowest levels of ceramic inclusions in finished product coupled with easy installation and predictable campaign life. Find out more about our InterLok Segmented Crucible Lining System, and review Market Manager Phil Geers’ recent paper: “Effects and Analysis of Thermal Stresses on Large Induction Furnace Refractory Linings for Molten Metal Applications”. Blasch offers a turnkey solution for hydrocyclone separators and other mineral processing equipment. 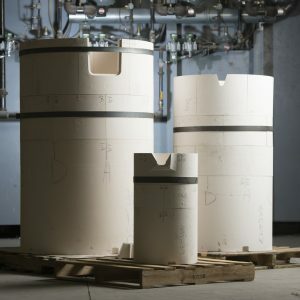 Our proprietary silicon carbide based formulations (AlTron™, NiTron™, Ultron™ and InVinCer by Blasch™ Reaction Bonded SiC) and can be cast into complex shapes and then encased in polyurethane in-house, providing ease of installation, crack mitigation and added wear insurance, all while delivering a complete solution from one vendor. Find out more about our Verkapse Hydrocyclone Liners.